Based in England, DNS Accountants is an accountancy and tax advice firm with over 2000 clients from across the United Kingdom. With years of Accounting Excellence, DNS has many awards to its name. Our team comprises of highly passionate employees who promise to make the best use of the opportunity that comes their way and serve all our clients in the best possible way. DNS provides its accountancy related consultancy services to freelancers, businesses, contractors and start-ups. DNS Accountants started as a traditional and promising accountancy and tax advice business in the year 2005. We then used the technological boom to develop our own cloud-based online software to make accountancy reporting for the clients readily available and completely hassle free. It was in the year 2007 that DNS transformed into a Full Time Accountancy Service. The passion, integrity, and dedication of our team led to the creation of business with strong reputation and clients from different businesses. From 2008 to 2012, the company exhibited exponential growth in terms of clients, revenue and business outreach. DNS cares about its customers enough to operate solely on a customer centric system. Hence, we developed our own online accountancy software for customers to sit at home and access their financial records. We also created an extremely cordial and helpful customer relations and customer support center to help our customers with whatever issues they are facing. A local government district in Worcestershire, England, Redditch is a humble town with a wide industrial base. Home to the Royal Enfield Motorcycles, Redditch has always been a favorite spot for car and automobile manufacturers. Several small scale auto-manufacturing industries have established their offices here. As already mentioned before, DNS Accountants considers clients as its greatest blessing and hence respect for customers’ wishes and whims comes foremost to our Tax Accountants in Redditch when working on a case: Innovation, People, and Technology is what encourages our team. Our team comprises of some of the Best Contractor Accountants in Redditch known for their level of service and commitment to clients. 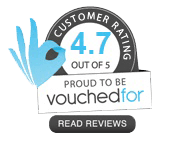 Our flexible service rates have made clients label us as useful Online Contractor Accountants and IT Contractor Accountants in Redditch. What is new in DNS? Amongst the new innovative projects of DNS is our Business Start-up project. This was started with the aim of making life easy for the new entrepreneurs in the block. Young start-up enthusiasts end up spending a lot of time on the financial working of their business and hence lose out on the operations and implementation end of it. DNS Accountants, through its business start-up service, aims to allow our start-up clients with enough time to focus on the sales and recruitment process for making their idea successful while the team at DNS handles all the accounts and taxation related formalities for a nominal fee. We offer the following principal services under this banner: Accounting Compliance and Tax Advice, Business Growth System, Dedicated Account Manager and Smart Cloud Software. The Registered Office Address (ROA) is the address at which a company/business is officially and legally registered upon incorporation. It is the address displayed next to the company name on the Public Register of Companies at Companies House. All companies registered in England or Wales are required by law to have a ROA. A company’s ROA need not be the same as the address of which its trade and transport functions. The ROA is used for official correspondence (like reminder letters, lease letters, account statements, etc.) with Companies House (the UK registrar), HM Revenue and Customs (the UK tax authority) and the other UK governing bodies. The ROA is the address at which the company, its directors, and shareholders can be contacted by post. The Company Registration Number and the ROA must be displayed on business stationery (letterhead and invoices). What is special about the DNS ROA service? DNS offers ROA services to its clients wherein customers can nominate DNS as their ROA. DNS forward any mail we receive on behalf of our clients to the address supplied by them in the United Kingdom and/or overseas. Also, business calls are entertained and responded to by our team if you wish to use those services. On purchase of a Business Trading Address, We also receive other non-official emails for our clients. Affordable service fee payable on a per month basis. DNS being an official accounting service remains open during office hours. Freelance clients can hence keep their home address private. DNS provides professional customer support which is ever ready with their trained advisors to answer clients’ queries by mail or telephone. Professional indemnity insurance is for providing a client with cover for claims made against them due to an issue with their work or professional advice. For example, it could protect a business against a client’s compensation claim for negligence and cover the potentially expensive legal costs. If your business or company gives advice or consultancy, offers a professional service, or handles and analyses intellectual property belonging to another client or business, you should have a professional indemnity insurance to cover legal costs for if and when customers sue you for misrepresentation or negligence. Even if you have committed no wrong, the cost for the legal procedure while defending your company may run very high. This cover protects your business’s financial backbone from having to cover the cost of a claim for negligence or a mistake that a client reports. Why should I/we use DNS for my Indemnity Cover? DNS provides the most standard service fees. DNS team of experts have the experience of dealing with professional Indemnity cases adeptly. DNS compares quotes from multiple insurance providers to choose the best one for their clients. DNS customer support center is just a call or an email away, with client queries such as these being responded to very promptly. Solihull, Birmingham, Coventry, Evesham and Warwick have recently witnessed the extension of the above services from DNS to their area as well. 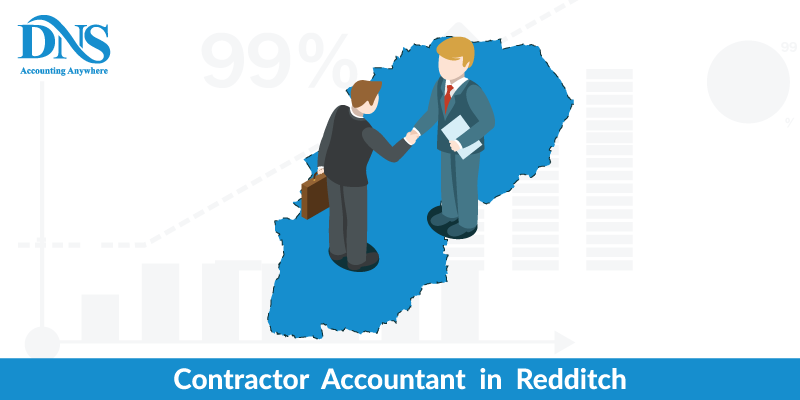 Amongst Small Business Accountants in Redditch and IT Contractor Accounts in Redditch, DNS Accountants is one of the most trusted names.